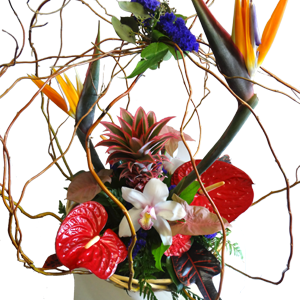 Joan’s Florist is the premier florist in Hollywood FL and has an extensive assortment of lush, beautiful plants and flowers to meet your gift-giving needs. We deliver all around South Florida, including Dania Beach, Hallandale, Miramar, Davie, Cooper City and Pembroke Pines. Even if the occasion is no occasion, and you just want to show someone you’re thinking of them, our floral professionals can create a charming flower arrangement for your special someone. 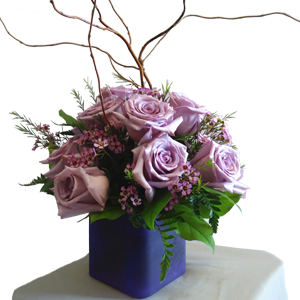 All of our bouquets are attractively arranged by one of our skilled floral designers and hand-delivered to your recipients. 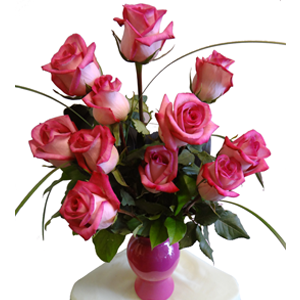 Joan’s Florist is proud to offer the finest selection of flowers in Hollywood. Create a special memory by sending fresh flowers. Joan’s Florist, your local Hollywood florist, has just the right bouquet to fit every occasion and budget. 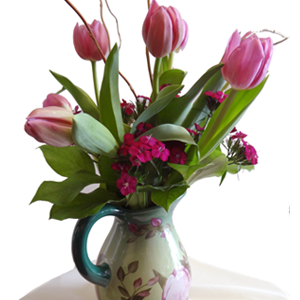 Let us help you create smiles with our unique designs of Mother’s Day flowers, birthday flowers, or anniversary flowers. Say “I love you” with a stunning arrangement of Valentine’s Day roses, add joy to the holidays with a seasonal centerpiece, or cheer up a friend with a fun get well flower gift basket. Let Joan’s Florist help you surprise someone with the best flowers in greater Fort Lauderdale today. When you need to send your condolences we can help with a thoughtful funeral flower arrangement. When you order at an average online store, you sometimes don’t know what you’re going to get. Some floral sites ship flowers from massive warehouses, so your recipients receive a cardboard box with uncut flowers on their doorstep. Not so with Joan’s Florist. We’re an actual florist in Hollywood, staffed by people whose goal is to satisfy our customers. When you order through our secure online store, you’re sure to get artistically hand-arranged, hand-delivered fresh flowers in Hollywood and nationwide. Why risk sending something your loved ones have to unpack and arrange themselves when you can send an abundant arrangement from Joan’s Florist? Looking for flowers in Hollywood, Dania Beach, Hallandale, Miramar, Davie, Cooper City or Pembroke Pines, FL? Give us a call at (954)983-4367 and we can help!